MICHAEL JACKSON (b.1940) has been described as “one of [New Zealand's] most astute, humane, idiosyncratic, neglected and perdurable writers” (Martin Edmond). 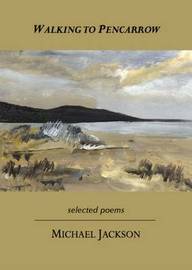 His poetry is characterised by its cosmopolitan range, its conceptual depth, lyrical concision, and craftsmanship. He has spent most of his life as a professional anthropologist, and currently holds a distinguished Chair at Harvard. He is the author of thirty-five books, including eight volumes of poetry, and winner of the Commonwealth Poetry Prize and the New Zealand Book Award for Poetry.